Early autumn can be a strange time in the mountains. Even though it is true that overall, leaves change sooner at the higher elevations than the lower ones, there can be wide discrepancies within the higher elevations. Sometimes the mountain valleys get cold before the hilltops do, and so you see more bright colors lower down than near the peaks. 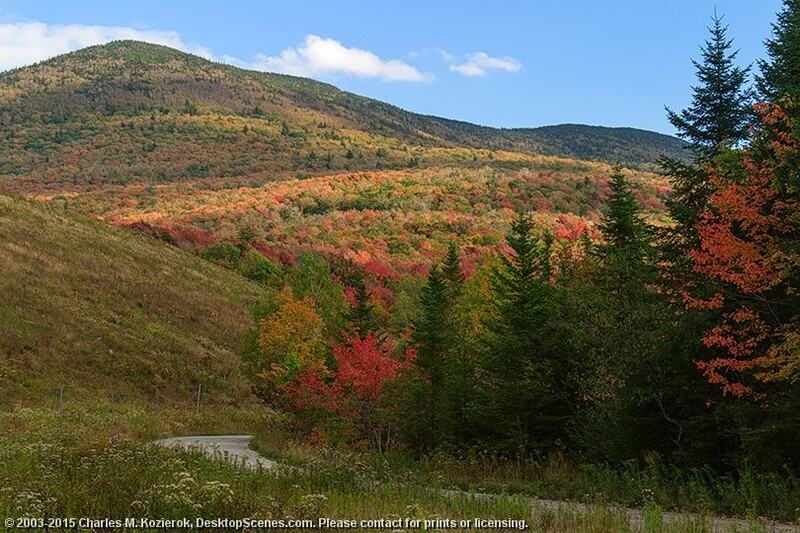 Another factor in this is the distribution of tree species; the more colorful maples tend not to grow near the summits.